Welcome to 2019 and the first edition of the E-bulletin for the year. I hope that members and supporters enjoyed the festive season and ready for a big year ahead. This year is going to be busy and an important year for the voice of Queenslanders with disability. Firstly we have a federal election which looks set to be in May. People with disability want jobs, quality health care, affordable and accessible housing, transport, education, justice and advocacy within their inclusive and accessible communities. The National Disability Strategy (NDS) 2010-2020 has provided the blue print for the Commonwealth and State and Territory Governments, however the implementation of the strategy still has a long way to go to achieve the outcomes that people with disability need. It is timely that the Productivity Commission Study Report – Review of the National Disability Agreement was released on 1 February 2019. QDN provided a submission to this review, and also met with Commissioner Fitzgerald when he was in Brisbane last year. The report makes a range of recommendations that include the need for a new agreement to promote cooperation, enhance accountability with a new performance reporting framework and clarify roles and responsibilities of governments. The report found that to improve the well being and needs of ‘all’ people with disability a collaborative response from all level of governments is needed, extending well beyond the NDIS to many other service systems such as housing, transport, health, justice and education. The report recommends that the NDS should continue to play the essential role of articulating policy actions, with these actions explicitly linked to the new NDA’s outcomes. QDN welcomes the report and looks forward to working with all levels of government in ensuring the voice of Queenslanders with disability are part of the planning, design, and implementation of the new National Disability Agreement in 2020, and a policy environment that provides clear direction and accountability to deliver better outcomes. This is important going into a Federal election to get commitments in regards to this report. QDN will develop an election platform to share with members about what we would like to see all parties and candidates give support to, and commitment to work to achieve equal access to these important basic human rights that everyone enjoys. We know that people with disability experience additional barriers to the social and economic participation in society. It is important that we can be equal Australian citizens and we all have a part to play in making sure our candidates who are seeking election to the Australian parliament know that we are here, we vote, and we want to see action. The Royal Commission into Aged Care Quality and Safety held its first public hearing on Friday 18 January 2019 in Adelaide. The inquiry is looking into a range of areas and its scope is broad. QDN will make a submission and if any members wanted to contribute their experiences, please contact QDN at qdn@qdn.org.au. We know that both young and older persons with disability are living in aged care facilities, and experience issues with their access to services, with it meeting their needs and also the safety and quality of the services. It is important that the voice of people with disability is part of this inquiry, and recommendations are developed by the Commission that improve the access, safety and quality of services for everyone. At the end of last year, QDN put forward a submission to the review of the Queensland Disability Services Act. As Queensland transitions to the National Disability Insurance Scheme (NDIS), the Queensland Government is reviewing the Disability Services Act 2006 to ensure the legislation reflects the changing landscape, and QDN understands this legislation will have a greater focus on accessibility and inclusion of people with disability within community. QDN welcomes this focus, however, in our submission have also been clear about the critical role and the responsibility of State Government in ensuring all Queenslanders with disability can receive quality, timely, safe and accessible services and community across health, housing, transport, justice, advocacy, employment, education, sport, recreation, creative arts and all aspects of life in the community. The Queensland Government has an obligation to all Queenslanders with disability across every portfolio area, Ministry and government departments. QDN continues to hold high expectations for the delivery and implementation of the “All Abilities State Plan.” QDN acknowledges that stewardship and governance that puts prominence to disability and inclusion is needed, along with strong leadership and the monitoring and evaluation of the implementation of this legislation is critical. The voice of people with disability and their families/carers must be front and centre. Within the context of the Human Rights legislation being implemented – this brings greater weight and focus to equal citizenship and rights. QDN understands that the Department are reviewing the results of the consultation to inform the development of a reframed Disability Services Act for Queensland. We will keep members updated as we get more information about timeframes and next steps. 22 weeks until the end of the NDIS transition period which finishes in Queensland on 30 June 2019. There is still much to be done in this time, and we still have a number of outstanding issues yet to be agreed upon between the State and Commonwealth Governments and the NDIA around the mainstream interface issues. This includes what is going to happen with the taxi subsidy scheme, elements of nursing care services that have been provided to Queenslanders with disability to ensure that they get the care and support they need, specialist school transport and personal care in schools. QDN has been raising these issues for the past three years, and acknowledges the Queensland Government’s actions to continue funding these services while the final solutions are determined. However, we are getting very close to the end of transition time, and QDN will continue to work with members, supporters and our allies to ensure that these solutions deliver the best results for Queenslanders with disability. I would like to welcome back Minister O’Rourke who returns to work next week, and the remaining 5 months of this financial year will be a busy legislative, political and transition agenda. I look forward to working with you all this year and your engagement with QDN. Finally, to our members and supporters in Townsville and the surrounding areas, and all of our North Queensland and Far North Queenslanders who are affected by the flooding and water deluge, we are thinking of you and stay safe. Welcome to 2019. The year has already started off with extreme weather conditions in north Queensland which are making life very tough for people with disability and their families, especially those living in the Townsville and surrounding areas. Our thoughts are with all, especially QDN Local Group Convenors and members and we hope all remain safe and get through the rains and flooding with minimal damage to personal property. Over the next six months Queensland moves closer to full roll-out of the NDIS and as Nigel has mentioned, there are just over 100 days left until the end of the transition period. There are still a range of mainstream issues around the NDIS interface that are having real life impacts for people with disability and need to be resolved in the next 5 months to ensure the NDIS delivers for all Queenslanders with disability. QDN has sought a meeting with the Minister for Disability Services to get an update on progress in resolving these issues and we are meeting with a number of mainstream agencies to discuss the issues and put potential solutions. Once such issue is the Halwyn Centre. Just two weeks ago, residents of Halwyn Centre in Red Hill in Brisbane were given the information that Metro North Hospital and Health Services had made the decision to close Halwyn as of November 2019, including stopping to provide respite from February, centred around the NDIA decision not to approve the facility for Specialist Disability Accommodation under the NDIS. There are 39 people with disability who currently live at Halwyn, many who have lived there for over 40 years of their life. For any person, having a place to call home is an important fundamental need. Getting information that you have to move out of your home in a relatively quick time, and not being sure who you will be living with, where you are going to move to and the organisations who will be providing your ongoing support services causes anxiety and distress for people. QDN was invited to be at a meeting with families and Minister for Health, Hon. Stephen Miles last week, where the Minister was able to give families a commitment that Halwyn will not close in November 2019. Residents will not be forced to move twice (something that was raised when the November deadline was given) if no other suitable accommodation and support is in place for individual residents. 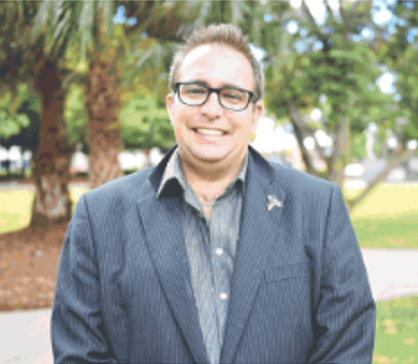 The Minister also said that the Queensland Government’s position is that no resident receive fewer supports as a consequence of their transition to alternative accommodation; and that respite services will continue until 30 June 2019 with longer term options being developed and in place by this time. Whilst this is a welcomed response, there are still a range of issues that need to be resolved through the State and Commonwealth negotiations. QDN understands Minister Miles has been talking with the Commonwealth Minister this week to work on a resolution. QDN will continue to represent the issues and experiences that families, members and supporters are raising during this time and going forward, and is committed to working with all stakeholders to ensure that a good outcome is achieved for all Queenslanders with disability. This week we also had the opportunity to celebrate the end of the Getting on the NDIS Grid project. This has been a project funded for the first 18 months by the Commonwealth Department of Social Services through the Sector Development Fund, and then the last six months by the Department of Communities, Disability Services and Seniors. As you would be aware, the project has worked with people with disability, and the workers who support them who have not received disability supports before. The people we have worked with have included people with disability who have experienced homelessness; those living in supported accommodation facilities, or who access support through neighbourhood centres, social housing and community housing; volunteer organisations; child safety, youth justice and corrective services. It has been critical that the 45,000 in Queensland who have never had access to the disability supports they need were given the chance to find out about the NDIS, learn more about what it could do for them, and how they could access it. At the centre of the project has been co-design and co-delivery and the power of peer work. I would like to extend a big thank you and acknowledgement to the 14 peer leaders who have worked with us on this project over the last two years. Your individual and collective wisdom, insights, feedback, dedication and passion for this work and ensuring that this work has been accessible, fun, creative and innovative has helped us to reach people. I would also like to extend my thanks to the consortium partners who have worked with us on this project, Community Living Association, Micah, QCOSS, and Community Resource Unit, without your knowledge, skills, networks and engagement we would not have achieved the same impact and reach. To the staff, both past and present who have worked as part of this project, I thank you for your commitment, enthusiasm, creativity and willingness to make a difference in the lives of people. Finally, to the organisations and staff across all of the services, Government and Non-government who have worked with us, and the people themselves, a big thank you. Although this project has finished QDN is very aware there is much more that needs to be done to support up to 45,000 Queenslanders to access the NDIS to get funded disability supports for the first time. QDN continues to receive funding for the NDIS Peer to Peer Advocacy Project, assisting people with their access to the NDIS, getting ready for the planning meeting and support if you want it at the NDIS planning conversation. I encourage you, if you are at the stage of thinking about making an access request and you are not sure where to start, through to getting prepared for the information to talk about at your NDIS planning meeting or you have your NDIS planning meeting date, to please contact QDN and one of the team can assist you with practical hands on support at any or all of the stages of your NDIS journey. A reminder to QDN members who have provided us with an email address, that the Member Hub on the QDN website provides members with up to date and more detailed policy information, updates on what’s new, opportunities to get involved in and much more. If you are a QDN member, you will have been emailed a Member Hub username and password last year. You will need your username and password to access the Member Hub. If you didn’t receive the information or have misplaced it please call QDN on 1300 363 783. We would hate for you to miss out on this content! We hope you find the member hub useful and informative. On International Day of People with Disability, QDN acknowledged the theme of 2018, empowering people with disability and ensuring inclusiveness and equality. It is important to acknowledge that people with disability as leaders in their own lives are driving change to create communities where everyone is included as equal citizens. QDN and Queensland Council of Social Service (QCOSS) have now held a total of four, two day, forums as part of the Changing Lives Changing Communities project, funded through Information Linkages and Capacity Building grant (ILC). We have had fantastic feedback from over 300 participants attending the forums held in the Mackay, Toowoomba, Caboolture and Brisbane communities last year. Over the course of these forums a number of interesting and diverse ideas have emerged around developing more inclusive communities and collective action is already well underway to see these ideas realised. QDN are working alongside QCOSS, city and regional Councils, community members and QDN community leaders to support these projects in their development. Make a submission – The Royal Commission wants to hear from members of the public about their access to aged care services, whether it meets their needs, and the safety and quality of those services. QDN will make a submission and If any members want to contribute their experiences, please contact QDN at we qdn@qdn.org.au. Alternatively, we encourage you to make your own submission and follow the details below on how to do this. The next hearing will open on 11 February 2019 in Adelaide and the details of future hearings will be published on the Commission’s website . No Queensland hearings have been advised yet so keep this link to stay updated. QDN submitted a response to the ‘Open doors to renting reform’ stating our recommendations and position for the voice of people with a disability. The Reform state-wide community consultation was held from 30 September to December 2018. As the number of Queenslanders who rent continues to grow, we need to ensure our renting laws support access to a safe, secure and sustainable home in a stable rental market. Thousands of Queenslanders joined the renting conversation and shared their views and ideas. More than 120,000 responses were received and the experiences, views and information collected through the consultation will be analysed to help identify reform priorities to shape the future direction of renting laws in Queensland. Queensland Rail would like to set up a Regional Australian Railroad Group (ARG) with the focus being on the Travel and Tourism network. This group would meet quarterly, and they are looking for members that reside in Cairns, Townsville, Rockhampton, Bundaberg, Gladstone, Maryborough and Mackay. If you are interested, please email your interest to the accessibility mailbox accessibility@qr.com.au. Group members would not be required to travel as Queensland Rail will use video or tele-conference with the potential of holding the meetings within the regions depending on the mix of members. QDN has continued to work with community service peaks across Queensland to harness our power. We are continuing to focus on four key areas: NDIS, the Human Rights Act for Queensland, Family Matters and affordable and accessible housing. Early in the new year we will release a joint state government priority statement for the Queensland Government with specific asks in these four areas. We believe that by working more closely together we can make a greater impact. 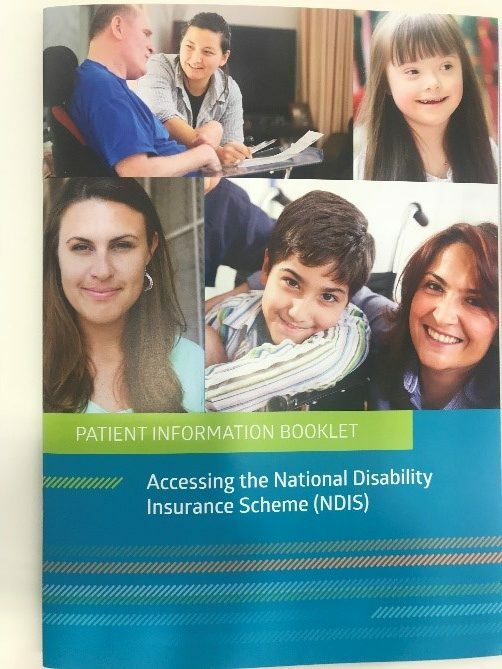 A new resource Patient Information Booklet – Accessing the National Disability Insurance Scheme has been launched recently which aims to assist patients with the Access process, specifically, going to their GP with the Access Request Form and Supporting Evidence Form. This publication has been developed by QDN in partnership with the Brisbane North PHN and funded by North Brisbane Partners in Recovery. This easy to use tool will assist people with disability with their discussions around NDIS access. The Patient Information Booklet steps you through how to make an application to the NDIS, how your GP or health professional can assist and preparing for your NDIS GP appointment. This new document complements another workbook developed by QDN and partners, the General Practice Toolkit which can be found here. The ILC Investment Strategy was released 20th December 2018. The strategy is based on the foundation principles outlined in the Commissioning Framework, particularly in relation to maintaining a strong outcomes focus and the balance between building individual capacity and creating broader opportunities for people with disability. The new strategy can be found here on the NDIS website. The new strategy focuses on a grants model of three years, rather than the one year funding grants that we have had previously. In the future the approach to grants will be a mix of ‘targeted grants and procurement’. The National Disability Insurance Agency (NDIA) has announced they will implement a range of new pricing arrangements for more complex support provision. The current system, with two levels of price controls for assistance with self-care, social and recreational activities, will be replaced with three price levels linked to the skill level of the worker delivering the support. These new arrangements for complex support provision will take effect on 1 February 2019. Queenslanders will soon be protected under a Human Rights Act after a bill was tabled in State Parliament. The Queensland act has been modelled on the Victorian Charter of Human Rights and Responsibilities Act. Queenslanders with Disability Network Chairperson Nigel Webb, said “this is a very positive move forward for people with disability in Queensland, helping empower marginalised and vulnerable individuals and communities, and helping people achieve equal status and opportunity within Queensland”. QDN congratulates the Palaszczuk government’s commitment to introducing the Act. QDN commends Commissioner Michael Forde’s report on the New Generation Rollingstock (NGR) train Commission of Inquiry and supports the 24 recommendations. QDN acknowledges public release of the report and the commitment by the Queensland government to carry out all 24 recommendations. While this is a welcome announcement for all Queenslanders with disability, particularly those wishing to use accessible trains, it highlights the importance of people with disability being consulted from the start which is referenced in recommendations 17-19 in the report. This outcome is a testimony to the determination and tenacity of people with disability who have lobbied for this change. PricewaterhouseCoopers released Disability expectations; Investing in a better life, a stronger Australia. A report on disability and the National Disability Insurance Scheme (NDIS). It says Australia does especially poorly on disability issues when compared with other OECD countries. Australia ranks 21st out of 29 OECD countries in employment participation rates for those with a disability. the operation of the forensic disability service and its treatment of residents of the service. The Australian Parliament has recently passed the My Health Records Amendment (Strengthening Privacy) Bill 2018. These changes are in response to the Australian community’s calls for even stronger privacy and security protections for people using My Health Record. The measures also allow Australians to opt in or opt out of having a My Health Record at any time during their life. People with disability who rent are almost twice as likely to experience a “no-grounds” eviction compared with other Australians, new research shows. A report by Choice, National Shelter and the National Association of Tenant Organisations (NATO) examined the consumer experience of renting in Australia, and found renters with disability faced a range of barriers that prevented them getting into or staying securely in rental accommodation. Do you, or does someone you know, have a valid concession card which could give you access to a $340 electricity rebate? Phone your electricity retailer to see if you are eligible. Assistance is also available if you are finding it difficult to pay your energy bills. To check what assistance you may be able to access, contact your energy retailer. The NDIS Peer to Peer Advocacy Team has been hard at work assisting people to access and plan for the NDIS. We have seen an increased number of people getting access met, and receiving NDIS plans with supports for many people for the first time. As the final NDIS rollout occurs in the Sunshine Coast and Moreton Bay regions, the project expects to see a high volume of referrals coming from these areas over the next 6 months. It is important that new people to the NDIS make access to the scheme in the next 5 months of transition. The number of new people making access requests is still lower than expected so its is important to share the messages about the scheme and if people need support to make the access request, they can contact QDN. The work in the project has also highlighted how important it is to be prepared for planning meetings. It is important for those who have planning meetings booked to be as prepared as possible with the correct information that the NDIA is looking for. Some people have said that this can feel overwhelming and how helpful it can be to have someone assist them. The NDIS Peer to Peer Advocacy Team can assist people to gather key pieces of information and develop a pre-planning document to assist the NDIS planner in developing a plan. QDN’s NDIS Peer to Peer Advocacy service is free. Please call QDN and we can organise to meet with you and work with you on your NDIS journey. In December groups celebrated the end of another great year of coming together, sharing information, supporting each other and learning new things. 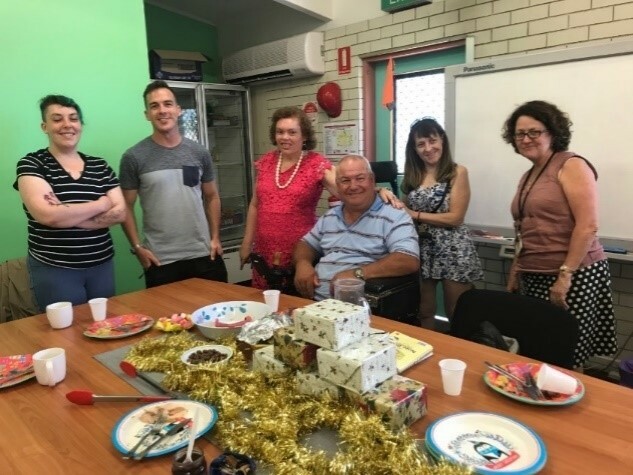 For many groups this was the year the NDIS “got real!” with many group participants sharing their stories, learnings and supporting one another as they had their NDIS planning conversations or had reviews of their plans. For Caboolture and surrounds the rubber hits the road in 2019! Peer support will become even more relevant for people as NDIS hits full roll out from 1 July 2019. QDN looks forward to continuing our work with Local Support Groups and Group Convenors in 2019! We will be exploring new ways of working with you all that enables you to strengthen relationships within your groups and communities, and continue to shape and influence your local communities through leadership by and for people with disability. 2019 will be a busy year and we welcome and need your involvement! It is through your involvement, sharing what is happening on the ground that we can all contribute to informing decision makers about what is going to deliver on good outcomes in local communities. Brisbane Hot Topics ended the year with a fun festive celebration at the QDN office. The group had many successes in 2018, including group Convenor Donna Best’s key note speech, and a group presentation of the digital storytelling project at the conference of the Australasian Society for Intellectual Disability (ASID); the successful completion of the Digital Stories joint project with Griffith University; and hosting a number of excellent and informative guest speakers. The group was also funded for three digital stories to be uploaded onto the new National Self Advocacy Website, focusing on their group processes, and how they use self-advocacy in create change in their lives. Brisbane Hot Topics enjoy festive celebrations. A great time was had by all at the Kallangur LSG end of year celebration. A big thank you to Valmae Rose and Marsden Families Program for helping to organise this. While the NDIS has been a keen interest for many group members, it has been great to see some of the different speakers and interest areas of our local support groups during 2018. Sunnybank LSG hosted a number of excellent guest speakers in 2018. 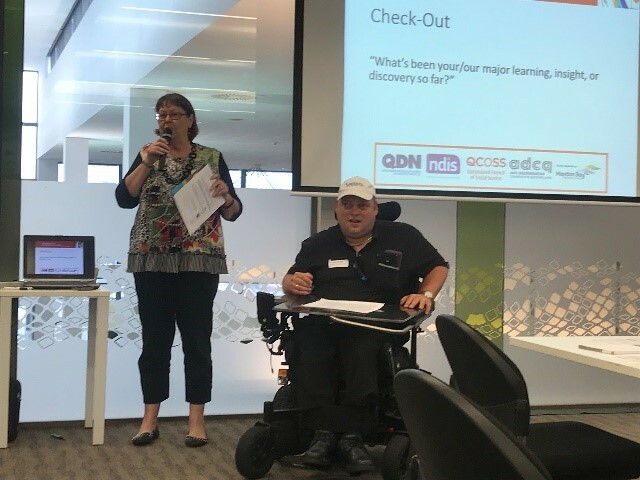 John MacPherson, QDN Board Member and Brisbane City Council Access and Inclusion Team, came and shared his invaluable knowledge on all things transport. In July Bob Walker from the Office of Fair Trading gave a presentation on knowing your rights as a consumer. Did you know that it is illegal if someone comes to your front door and asks you for an upfront cash payment for a service they are offering (for example, tree lopping, house cleaning). Sunshine Coast LSG invited members of the Men’s Shed to discuss some of the activities they offer to men in their community and how members of the LSG could become involved in their projects. This was another example of fostering inclusion in local communities. In 2019 the group is looking forward to a guest speaker from Tech Aids for the Disabled. Brisbane LSG had Jean Tiller from the Summer Foundation speak about a partnership with a local developer to build ten high physical support apartments dispersed throughout a larger multi-stage development in Woolloongabba. This is an exciting development in inclusionary zoning for people with disability, that the group was able to hear about and pass on to others. 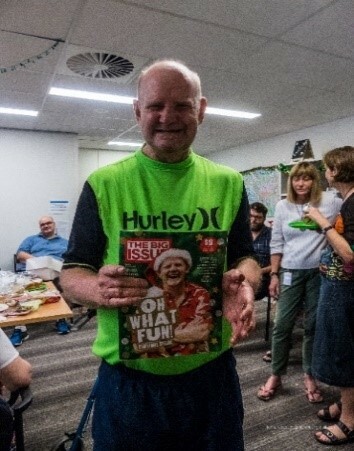 Brisbane Top Topics member, Ted Jones, and a regular welcomed visitor to the QDN office featured on the front cover of the December edition of the Big Issue. Ted talks about selling the Big Issue for 20 years and wanting to give back through giving out Christmas cards to say thank you to people that support him by buying the magazine. Great work Ted! I represent QDN on the QR, TMR, and Brisbane Airport Corporation Accessibility Reference Groups (ARG). This involves regular quarterly meetings and irregular meetings when issues arise. I have met weekly for the last few months with TMR as part of the NGR Project Working Group (PWG). The PWG has been working through the DSAPT non- compliances in the NGR train. With your role on the TMR ARG, what are the opportunities to influence and make a difference to policy and shape what happens on the ground for people? The TMR ARG can be a really interesting environment and we are working on a cultural change on TMR. Communications are becoming more open and collaborative. Authoring the QR / TMR ARGs’ submission in response to the State of Queensland’s application for temporary exemption from the Disability Standards for Accessible Public Standards (DSAPT). This submission resulted in the start of negotiations that will hopefully bring about changes that deliver better outcomes for people with disability. What’s my Story? Digital stories about inclusion are five stories about people with a disability who share their experiences about inclusion in employment, education, sport, creative and community activities. These stories form part of the Inclusion Ready project to raise awareness about inclusion and the Information, Linkages and Capacity Building (ILC) grant program. For many people, driving a car provides independence. Driving requires a high level of skill. Any decrease or loss of abilities due to illness, injury, disability or age can compromise your safety and that of other road users. The Department of Transport and Main Roads, your doctor or friends and family may request you to undertake a driving assessment if a medical illness, disability or age is affecting your driving. A driving assessment can determine your ability to drive or learn to control a vehicle safely. This assessment can only be conducted by a qualified driver trained occupational therapist. LifeTec employs occupational therapists with extensive experience in performing driving assessments. Find out more about our driving assessment service here. Are you an entrepreneur, business owner, or are you someone wanting to start up your own business venture? Do you want to have your say at how ADHD has had a positive (or a negative) influence for you in your career? If so, then there is an Australian research project which you can participate in. A nationally funded research project Disability and the Performing Arts in Australia: Beyond the Social Model will be hosting quality facilitated workshops for artists with disability. The workshop series is open to artists from across the performing arts (including dance, theatre and music), experimental arts, multimedia producers, film makers and writers. Provide an opportunity for artists to share creative perspectives in a safe and inclusive environment. 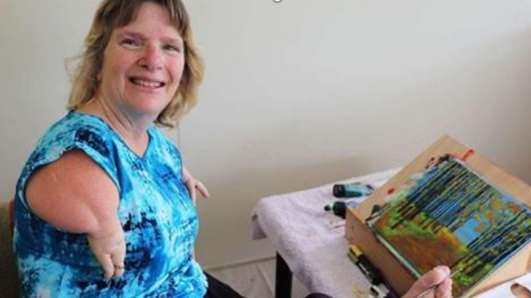 The National Awards for Disability Leadership recognise and celebrate the extraordinary contribution and leadership shown by disabled people and our organisations in Australia today.